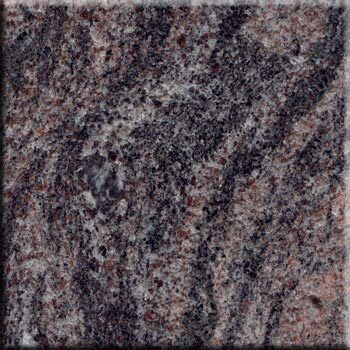 A swirl of white is present on the black, purple-pinkish surface of this Paradiso Granite. Durability and weather resistance are the highlights of these Paradiso Granite. Whenever the thought of enhancing the look of a bathroom or a kitchen area strikes you, just get this Paradiso Granite and see how it does wonders to the overall appearance of your decor. We are counted among the distinguished Paradiso Granite Suppliers. You can enhance the value of zany residential or commercial property, simply by utilizing this beautiful stone as countertops, wall cladding, or flooring, or even landscaping. The Paradiso Granite Stones have a durable life and require minimum maintenance. While transporting, they are packaged using the best materials to avoid any damage en-route. They are resistant to cracks, chipping, scratches, etc. & will keep looking as good as new for years to come.